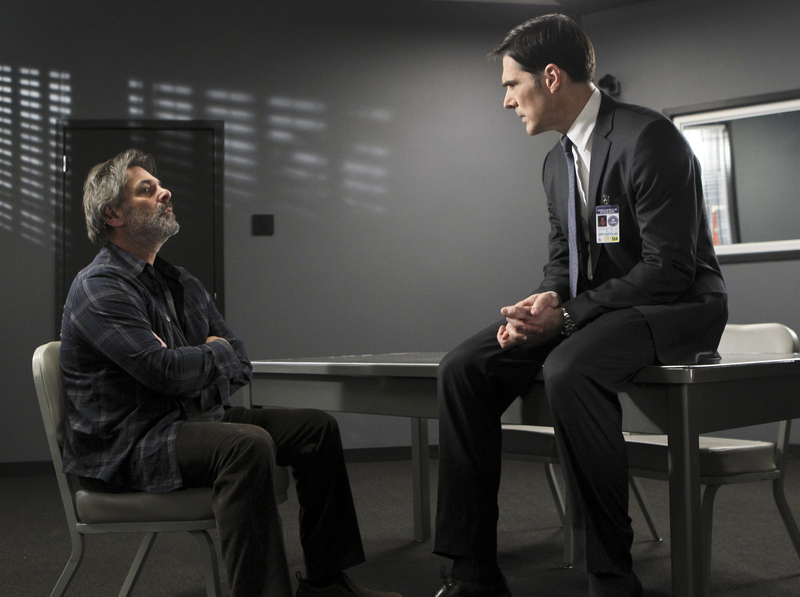 Writer Bruce Morrison (guest star Ken Olin) is grilled by Hotch after Morrison’s daughters go missing on the one-year anniversary of his wife’s mysterious disappearance. Series star Thomas Gibson directs his first episode of the series. Photo: Monty Brinton/CBS ©2013 CBS Broadcasting, Inc. All Rights Reserved.